I have my GMAT on 22nd Sept-exactly 20 days from now and i gave my first full length mock a week ago. I gave an MGMAT mock a week back and scored a 600. (Q36 V36)I have a few questions as I'm in the middle of the reviewing process. 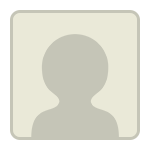 I'm targeting a score of 720-730. 1)Regarding the individual sections, I've been practicing the Verbal section a lot more than the Quant section(with timer limitations) and so was able to complete the verbal section in time. However, I ended up guessing around 12-13 questions(ridiculous I know) on the Quant section towards the end i was pressed for time. I had no practice of timing myself while doing Quant and thus i ended up doing so badly. Yet, i got a 600. My question is should i be worried? 2)Any particular strategy that i can follow so that I'm able to do Quant better and faster? 3) It's just my first mock and i plan to give a minimum of 10. 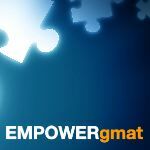 How well do MGMAT mocks predict the actual GMAT score? To add to it all I have another MGMAT mock and the Veritas free mock since the first MGMAT one. I scored a 550 and 600 respectively. So as you can see I’m stagnating around this score. I know Quant is my weakness so if you could guide me as to how to get better at Quant it would be great. Another weakness of mine and the one that pulls my Verbal down even though my RC is 70% accurate and SC is more than 85% is critical reasoning. So I’d like any expert's advice on that too. (Bunuel if you could help me with Quant it'd be great as I've read your GMATCLub Book for reviewing concepts). I would suggest you to review all the mistakes you are making in the mocks for quant and verbal both. As you have mentioned timing is issue for you on quant, its better you start taking quant section wise mocks in timed limitation as well. Gmat club tests are great for that. Also If you are thorough with quant concept and its just the timing issue, check this below post by bb about dealing with timing strategies on gmat. For CR, Powerscore CR bible is very good book for concepts and for practice refer OG. If you don't have much time to go through Powerscore CR bible book, you can refer Manhattan CR as well. Both books are similar in concepts and then practice from OG. It's important to remember that taking lots of CATs will NOT make you a better Test Taker. A CAT is really a 'measuring device' - when used correctly, it will give you a realistic score and help define your strengths and weaknesses, but it will NOT help you to fix any of those weaknesses. To raise your scores, you have to put in the necessary practice and repetitions. The CAT will show you whether your studies are helping you to improve or not. As such, you really shouldn't take more than 1 FULL CAT per week (and it would NOT be a good idea to take a lot of CATs in the next 3 weeks). We also discussed the possibility that you might have gotten 'stuck' at this score level. Given what you describe, it certainly sounds like you have (and that continuing to study "your way", you'll continue to score right around 600). Considering your score goal, it's unrealistic for you to expect to improve to that level by September 22nd, so you should push back your Test Date. You will likely need at least another 2-3 months of consistent, guided study to hit your goal score. While the Official GMAC CATs are arguably the most realistic ones available, your prior 3 CAT scores were all in the 550 - 600 range (and all taken recently). This most recent CAT score is an 'outlier' (relative to all of the others) and It's unrealistic to assume that you actually improved 60+ points in just 3 days (by extension, we cannot assume that you are actually at the "660 ability level" just yet). IF you "must" score 720+, then I would still suggest that you push back your Test Date. The work that you've done recently suggests that you're going to try to 'cram' during these last 2.5 weeks (which will increase your chances of 'burning out' before Test Day - and you will end up 'wasting' a lot of practice CATs that you would likely need later). That type of approach rarely leads to great results.